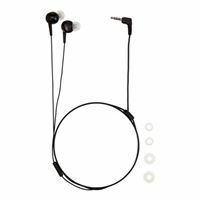 Koss KEB6 in-ear headphones are the ideal accessory for the on-the-go music lover. Durability, portability and the Sound of Koss are all seamlessly packed together into this lightweight earbud. Small, medium and large ear cushions provide a secure and comfortable fit.